Members of No. 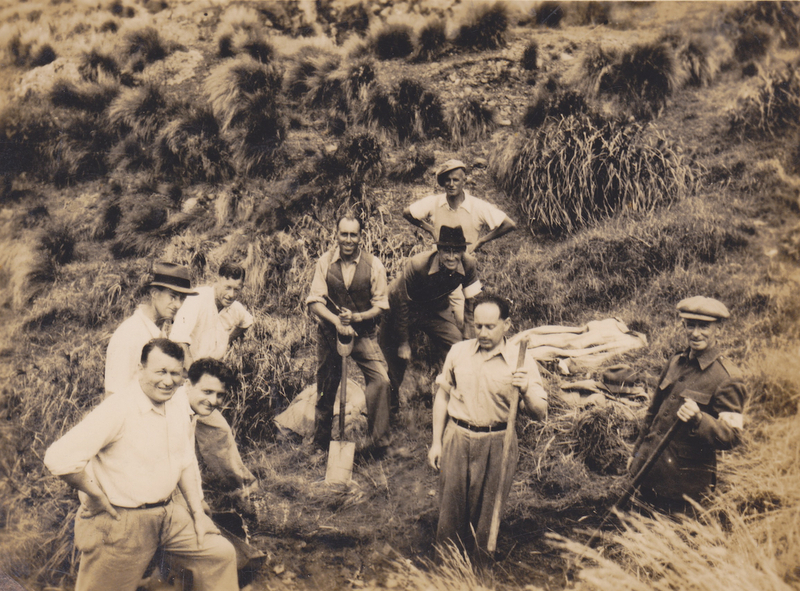 11 Platoon, Makara Battalion, New Zealand Home Guard, digging defensive positions at Ohariu Bay, Makara, 1942. They are, L to R, Fromer(? ), Rhodes (back), Lipson (front, Fowler (back), Hall, Yates (back), Bridge (middle), Hertzfield (front) and Pine. Lemuel Lyes Collection.